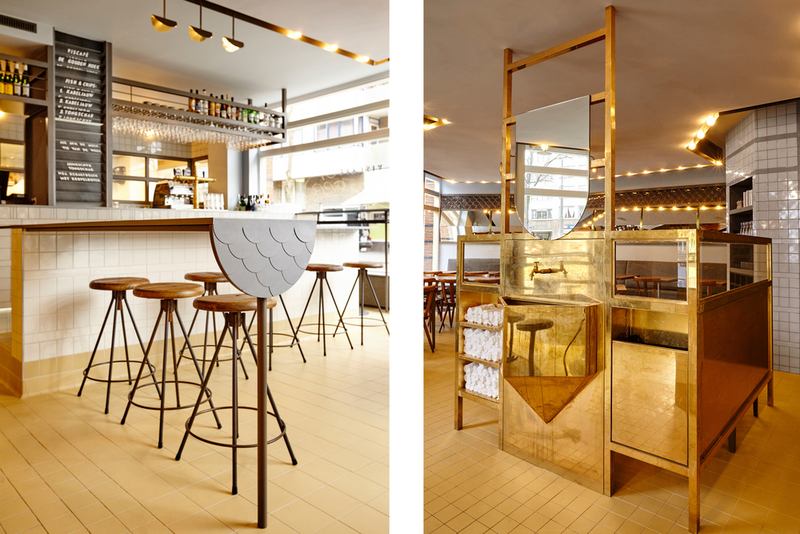 Viscafe De Gouden Hoek is the latest restaurant designed by Studio Modijefsky. 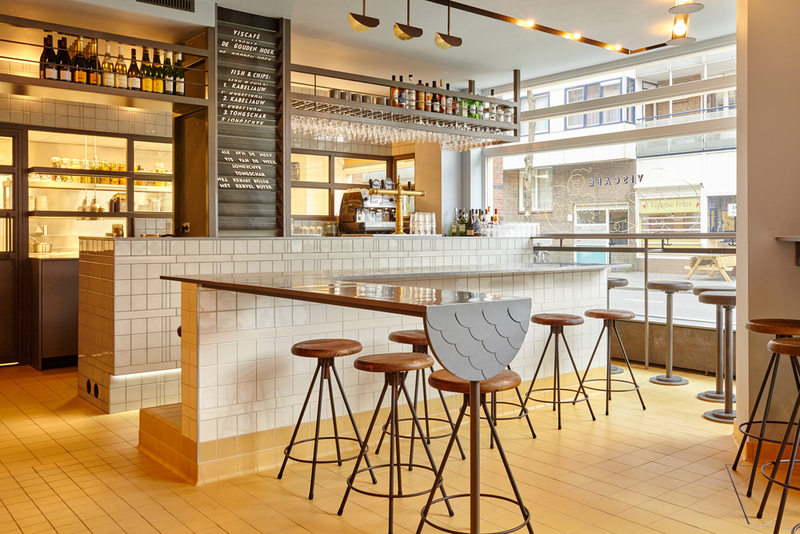 Located in Amsterdam West, it is the place for every-day fish inspired meals, local beer and good wine. 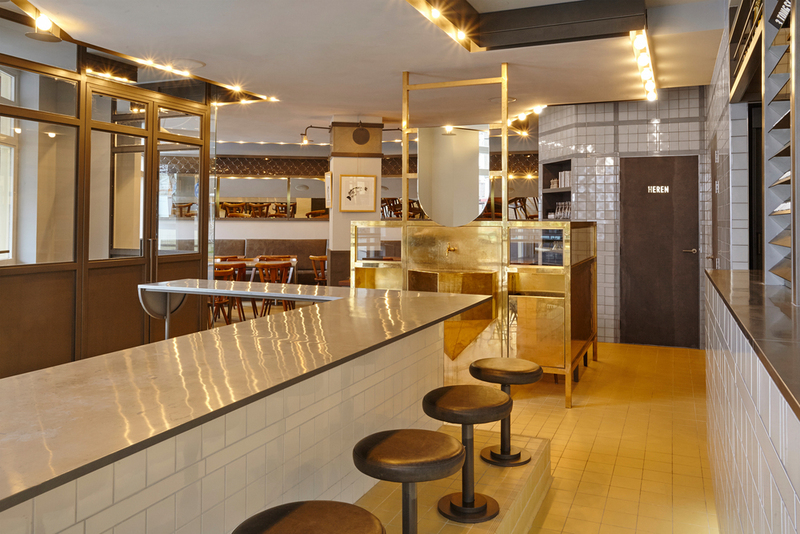 Formerly a Chinese restaurant called The Golden Corner, the new fish café takes its name and identity from the literal translation of the name into Dutch: ‘de Gouden Hoek’. 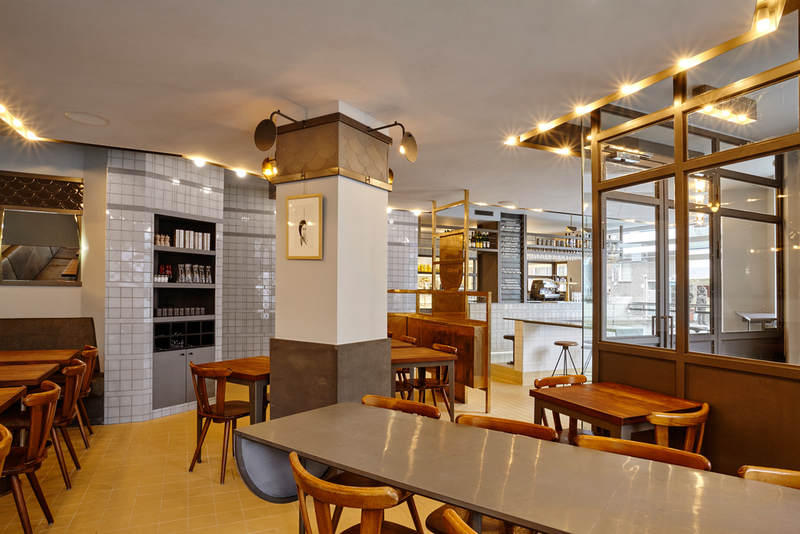 Located on the corner of a building block, the café has large windows which offer a great view to the square and bring in plenty of daylight.